Just over a year ago, when I made my list of the Top Ten Best Hit Songs of 2012, I put Imagine Dragons' 'It's Time' on the list and I made the comment that it was a song that only charted for two reasons: the increased swell of indie rock and Glee. Yes, the TV show everyone loves to hate featured that song at the beginning of their fourth season and it helped get 'It's Time' on the charts. In fact, if you take a deeper look at the growth of indie rock in the mainstream, you can give a lot of the credit to Glee for getting acts like fun. and Gotye to chart. But here the thing: there have been other indie rock acts who have tried to utilize Glee for chart success, and they haven't all worked out. And today, we're going to be talking about one of them that didn't take off: Young The Giant, an act I can throw into the mix with Foster The People and The Neighbourhood as an indie rock act I really can't stand. And the frustrating fact is that from the pool of influences that Young The Giant is drawing from, I should like this band a lot more than I do. The guitar work reminds me of a blend of Franz Ferdinand and Snow Patrol, the lead vocalist reminds me a bit of Chris Martin, and the lyrics have a freeform cryptic style to which I typically find intriguing. But after listening to their debut self-titled album, I had to come to the conclusion that none of this material is better than the sum of its parts. The guitars are leaden and swallowed by feedback and reverb, so none of the tightness comes through and yet for some bizarre reason there's none of the dramatic emotional swell that the reverb was supposed to create (in other words, trying to be Snow Patrol or U2 and failing). Lead vocalist Sameer Gadhia has an agreeable voice but nothing all that special in indie rock and the production doesn't lend him a lot of texture. And as for the lyrics... look, I like freeform, oblique lyrics, I listen to The Flaming Lips, Nick Cave, and Bill Callahan for God's sake. But there needs to be some cohesion, and Young The Giant didn't have that with their debut. There's some decent imagery and some phrases that sound deep at first listen, but the second you start looking for deeper meaning or any sort of theme or start thinking about these songs at all, nothing materializes as distinct or all that likable. And I'll say it: I liked the Glee cover of 'Cough Syrup' than Young The Giant's version of it - the guitar was tighter and more distinct in the mix, Darren Criss has more passion, and the production doesn't feel as grey and devoid of texture. So some of you are inevitably wondering, 'Well, if he doesn't like this band, why the hell is he reviewing their follow-up album?' Four reasons: you guys requested it; I'm always willing to give acts a second chance; the band changed labels, arguably for the better and Young The Giant did take four years off between albums and for their newest album, they're working with Justin Mendel-Johnsen, a producer who has worked with Beck, M83, and Tegan and Sara and who I quite like. Perhaps the band would be able to pull something together that would be surprisingly strong, who knows? So I gave their newest album Mind Over Matter a chance - was it better than their debut? Well, it is, but I can't say I enjoyed it. 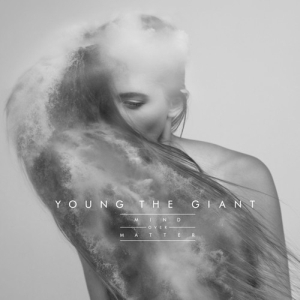 This is going to be an odd review because Mind Over Matter by Young The Giant fits into a weird category: the album that effectively accomplishes what it's trying to do, at least on a lyrical level, and yet completely failed to interest or really engage me. It's an improvement in some aspects and I will acknowledge it's a step in the right direction for the band, but I still didn't like this album and I really can't recommend it. So to explain, let's start with the element the band got right, which is a coherent theme for this album. The title Mind Over Matter is either ironic or an intentional lie, because this album is about the exact opposite, stressing how when we overthink things or indulge in self-doubt, we can paralyze ourselves. This album is more focused on reveling in raw emotion, in the now, and as much as that's not exactly a healthy attitude, I'll admit on a lyrical level, Young The Giant try their damnedest to make it look attractive, or at least energetic enough to get swept up in it. And I'll admit that it's a natural fit for Young The Giant's complete lack of cohesion on this record. There is more structure here in comparison with their debut (on which the band admitted the lyrics were often created through 'subconscious word association' - no wonder they made no sense), and they do try to add some nuance to the framing, showing how reckless 'living in the now' can hurt people around them. Hell, there's even some decent subtext in tracks like 'Crystallized' and 'Camera', how the narrator realizes he could be happier in something more stable and not driven by raw emotive presence. Yeah, there are still far too many lines that are trying way too hard to sound deeper than they are, and the technical songwriting still isn't good, but the album feels like it has more to say and it's a sign that Young The Giant have improved on some level. And while I might disagree with the message that the band is putting forward on a philosophical, it's not my job to critique the band's message, but how they deliver it. And lyrically, I'll give them a pass. But it's a damn shame that instrumentally, vocally, and in production everything falls apart. Let's start with the production, which is where I hoped things would have improved from the debut, but we really got a lateral move instead with the similar problems. I don't know who at Fueled by Ramen thinks that overloading the mix with additional noise and sound is going to add nuance or anything other than a migraine, but the overproduction on this record is a cacophonous mess, awash in fuzz and reverb that might make the album sound riotous but also vague and lacking in direction - and thus, lacking in force. Say what you will about the overproduction on the last Panic! At The Disco or Paramore albums, but at least those acts had some inspired grooves or forward momentum or at least some memorable melody lines that drove their tracks forward. But this is where Young The Giant makes their next big misstep, and that in the instrumentation. The guitar lines are watery and swallowed in their own feedback - and yet with all the additional distortion, it doesn't gain any dramatic swell or raw force. On top of that, there are some moments where the guitar lines attempt for complexity in a vaguely progressive manner, but without tightness in the production or choice of good guitar tones or any sort of cohesion, it comes across as messy. The one consistent MVP on this record (or indeed for the band as a whole) is Francois Comtois as the drummer, because he's the only one giving this album a sense of force and forward momentum, but without memorable riffs or good hooks or a solid bass line, he's stuck doing what every drummer in modern rock is trying to do by using percussion to compensate for melody. And now we have to come to the vocals, and arguably the biggest problem - and look, I'll give Sameer Gadhia props for trying. He's pushing his voice to the limit, he's actively trying to deliver with some raw passion and force to back up his lyrics... and he can't quite do it. Either it's his limited range for this kind of rougher, more passionate vocals, the willowy thinness to his upper register where he spends too much time in on this album, or it's the fact that he comes across as too detached and dignified to throw himself into his performance in this way, but he's not remotely convincing here. His voice is a natural fit for smoother, maybe folk-inspired indie rock that allows him to deliver a more emotive performance, not this. The closest vocal inspiration I see here draws back to the U2 comparison - but Sameer Gadhia is not Bono; he's a lot closer to Chris Martin. And it was in the drumming and vocals where I finally figured out what Young The Giant were trying to do on this album: they were trying to go in a punk direction. Think about it: the lyrical themes about young recklessness and putting raw emotion over rational thought, the heightened energy, the frantic drumming attempting to crank up the momentum, the rougher vocals, the fact they're now signed to a label that practically ran the pop-punk movement in the past decade, it makes sense! But here's the thing: punk has always been characterized at its best by tight, memorable riffs that were remarkable only for their simplicity and catchiness - and Young The Giant have never had that element. It always feels like the wheedling, watery guitar lines they do have never really build to anything beyond a swell of distortion and noise, with no melody beneath it. And let's be honest: as much as I appreciate bands going in a rougher, harder direction, some of them just aren't a good fit for it, and Young The Giant falls into that category. So as I said, I respect what this album is trying to do a lot more than I like it. It's a stylistic shift for the band and I can appreciate their lyrical direction, where there was the most improvement. But aside from the drumming, nothing else works for me on this record. You could argue that it's a mess with a purpose, but even that purpose feels muddled, unfocused, and in the end really not all that memorable. I'd like to give them points for trying, but on the other hand this album was a chore to listen through. I was really trying to like it, but I can't. So with that, from me it's a 4/10 and I really can't recommend it. Sorry, but sometimes you try and it doesn't pan out.